The Hentastic Fun feeder is the ideal accessory for all chicken owners who want to spoil their beloved pets. 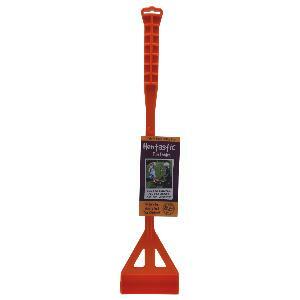 It is the perfect tool to ‘hand feed’ the chickens their favourite treat or complimentary feed of your choice. Simply load the feeder and watch your chickens enjoy. Remember it may take some time for your chickens to adjust to something new, but this fun feeder is sure to provide you and your chickens with hours of interaction and enjoyment!